The land of the princes (sultan’s sons), one of the oldest settlements in Anatolia, being a very important cultural legacy, great city and grand natural beauty, Amasya is situated on the Central Black Sea Region. 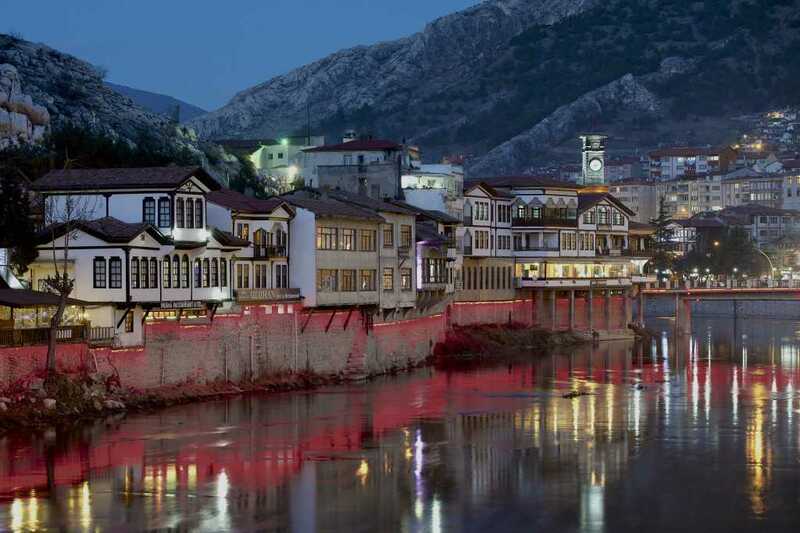 Surrounded by Yeşilırmak Valley and the other famous cities such as Samsun, Çorum, Yozgat and Tokat, this wonderful city had been a capital of numerous legendary kingdoms and cradled various scholars, poets and artists all through history. 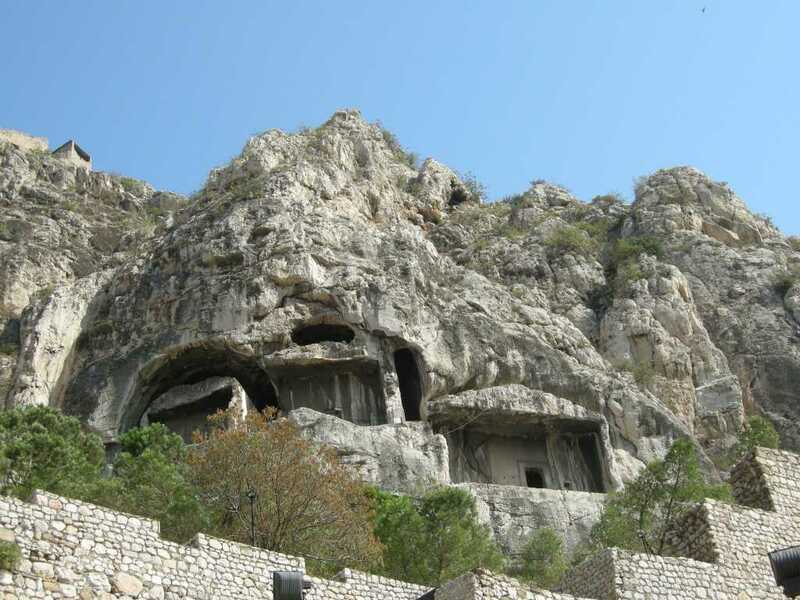 Within the period of Pontus Empire (B.C 333 and 26), it was made valuable artefact named as ‘’King Rock Tombs’’ which was erected for the sake of kings, after they died. That splendid masterpiece can arrive at our day. In the Rome Era (B.C 26 and A.D 395), special water tunnels, castles and bridges were built. Additionally, today some pieces symbolizing this time like Elmalı Mosaic (Apple Mosaic) is exhibited in Amasya Museum. After Seljuk and Ottomans, this fascinating settlement began to develop with the other marvellous structures. Countless mosques, tombs, mausoleums and madrasahs, fountains and palaces were constructed here which is the one of the main reasons why it is the significant cultural centre at the moment. 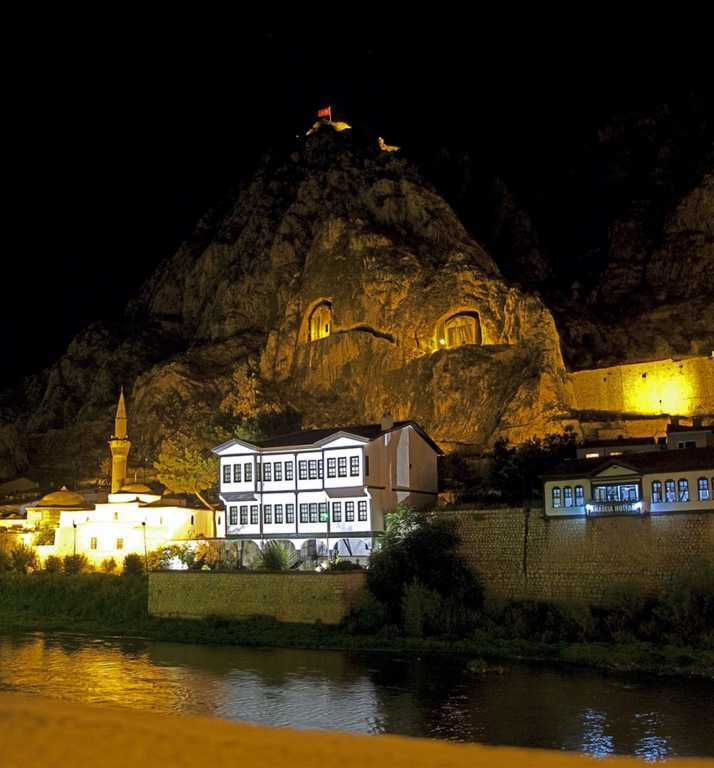 During this period, Amasya gave a place and served as a training location for approximately twelve Shahzadahs (sultan’s sons).They were educated Lalas or statesmen who were assigned as the tutor of the young princes. 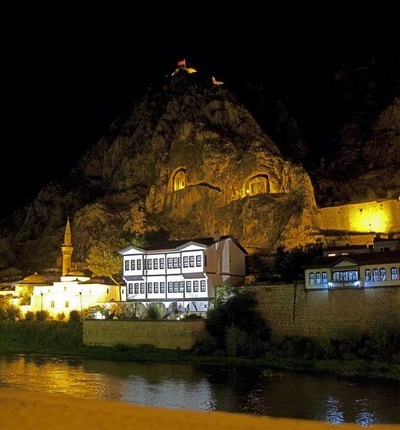 Therefore, Amasya is also well known as a The Land of Princes. 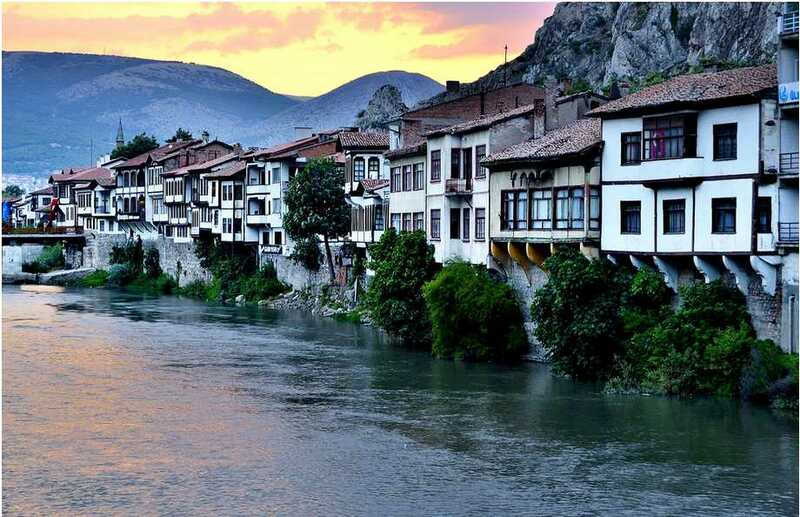 Built upon rugged, uneven grounds, Amasya has fertile plains available for agriculture. 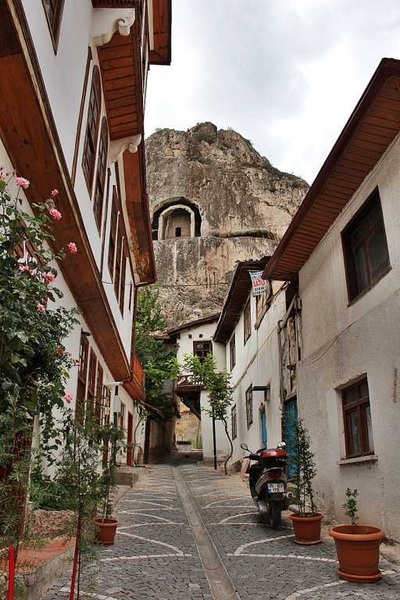 Thanks to its surrounded by Yesilırmak , it provides the visitors amazing landscape by creating a magical atmosphere. 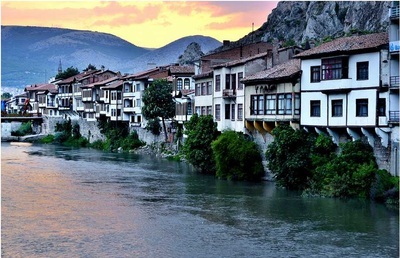 Amasya has the climates of the Blacksea and Central Anatolia Regions overlap. Therefore, there are seen significant differences between the climates of the mountains and valleys. The winters are mild and the summers are hot. January is the coldest month of the year with an average temperature of 2, 4°C, whereas July is the hottest month with an average temperature of 23.6°C. 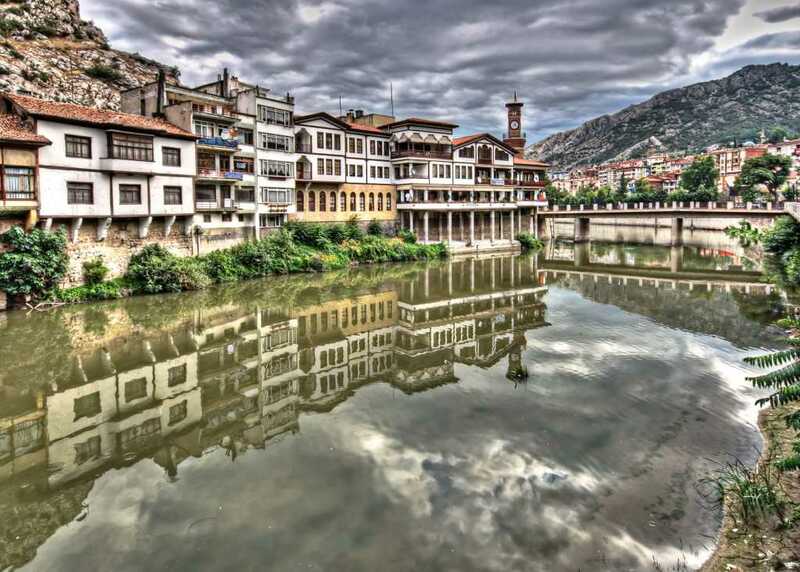 Amasya has been called various names through the all history; at the first, it was called as Hakmis, Amaseia and later Amasia and finally Amasya.